I’ve been to some of the Islam Awareness Week events at Nottingham University this week – including a talk about Jesus and Muhammed. I was surprised to hear that Jesus (or “‘Isa”) is mentioned much more frequently in the Qur’an than Muhammed is, and that several things are said about him in the Qur’an which, to my mind at least, suggest that he is more than a prophet. Quite often people point out that this verse has parallels (and is probably dependent upon) the “Infancy Gospel of Thomas” (and also the “Proto-Evangel of James” for the talking baby Jesus story). There are also allusions to things in the Canonical gospels, such as healing the blind and the leper, and raising the dead. But rather than doing a “source criticism of the Qur’an”, perhaps we should consider also the theological implications of this story. “1 1 When the boy Jesus was five years old, he was playing at the ford of a rushing stream. And he gathered the disturbed water into pools and made them pure and excellent, commanding them by the character of his word alone and not by means of a deed. 2 Then, taking soft clay from the mud, he formed twelve sparrows. It was the Sabbath when he did these things, and many children were with him. 3 And a certain Jew, seeing the boy Jesus with the other children doing these things, went to his father Joseph and falsely accused the boy Jesus, saying that, on the Sabbath he made clay, which is not lawful, and fashioned twelve sparrows. 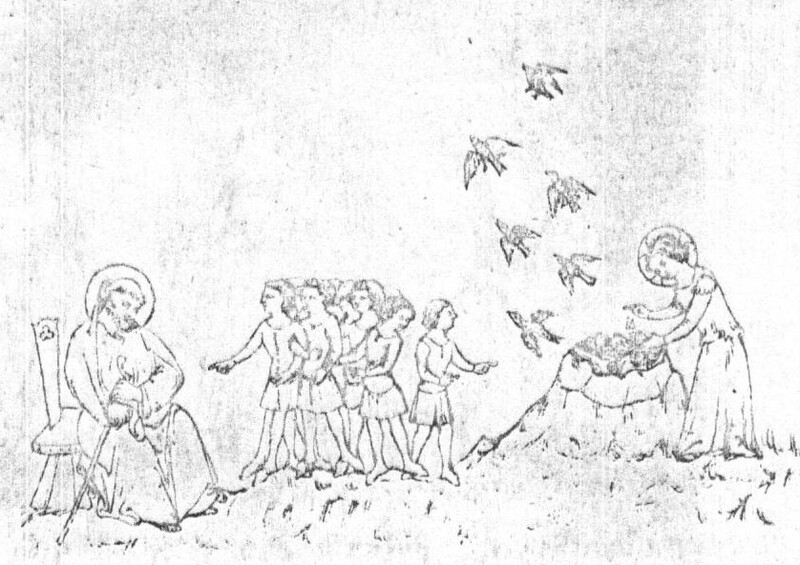 4 And Joseph came and rebuked him, saying, “Why are you doing these things on the Sabbath?” But Jesus, clapping his hands, commanded the birds with a shout in front of everyone and said, “Go, take flight, and remember me, living ones.” And the sparrows, taking flight, went away squawking. It seems to be bizarre that the Qur’an (usually an advocate of a low Christology!) should include this tale, given the high Christology implied by the story and the details of phrasing in the Qur’an. According to the Qur’an, God created Adam out of clay (7:11-12) which makes it even more clear that Jesus is doing a divine, creative thing. To be sure, the text inserts (by my leave) to a number of Jesus’ miraculous signs out of monotheistic embarassment, but the problem seems to remain. How can it be that Jesus is doing something which the Qur’an ascribes to God, if he is merely a prophet? To this might be added the Qur’anic claim that Jesus, alone of all the prophets, is sinless; and that (arguably) he did not die. This is in tension with the normally low Christology of the Qur’an. Even from the Qur’an there are suggestions that Jesus is more than a human prophet. As part of my course this semester on the Trinity, we had the opportunity to give a ten-minute presentation in the format of either a sermon on the Trinity or a diatribe against the Trinity. In our class we had 15 sermons and 1 diatribe. The sermons were quite varied and it was fascinating to hear sermons from people who come from very different Christian backgrounds, (one of the great things about studying theology at Nottingham!) and to receive written feedback from other students. One student thought my sermon was “a bit fundamentalist” – by which I can only assume he meant “Evangelical Protestant” (the two, incidentally, are not synonymous!) since I took out the bits about gun ownership and stoning adulterers. Or something. Thus reads the well-loved hymn. But what do we mean by the word “Trinity”, and why is it important? It has a bit of a reputation for being hard to understand. Sometimes people even give the impression that the Trinity is a bit of an embarrassing doctrine, and that Christianity would be a lot easier to understand if we got rid of it. In the short amount of time we have here, I’d like briefly to make three points, which I hope will shed some light on the Trinity and why it’s important. We can’t comprehend the mystery of the Trinity in the sense of knowing everything there is to know, but I hope that we might at least be able to understand what God wants us to know about his Triune identity. First, I want to say that the Trinity is a distinctively Christian doctrine – it is specific to Christianity. Second, that Christianity is distinctively Trinitarian – that you can’t have Christian faith without the God who is Trinity – Father, Son and Holy Spirit. Third, that believing in the Triune God isn’t something we should be embarrassed about, but rather something we should be joyful about, and something to celebrate. So, first – the Trinity is important because it is distinctively Christian. It is about what kind of God we worship. You don’t have to talk to too many people or read too many newspapers before you encounter the very fashionable idea that all religions are essentially the same, or really all have the same God. Have you heard that opinion recently? It’s quite a common one, and quite an attractive one in terms of playing down religious conflict. But whenever I hear someone say that all religions lead to God, or serve the same God, I want to ask, Which God is that? It’s not a small question – perhaps one of the most impassioned cries of the Old Testament is not to serve false Gods. We do not want to be idolaters. So we need to be sure what kind of God we worship. When we look at the Nicene Creed we find that it begins with “We believe in one God” and then immediately goes on to speak of ‘the Father Almighty’, ‘one Lord Jesus Christ’ and ‘the Holy Spirit’. The one God Christians believe in, worship and praise isn’t a simple numerical “one” but is, in fact, these Three. As the noted theologian Gregory of Nazianzus would say a few decades after Nicea, “when I say God, I mean Father, Son and Holy Spirit”. The one God and the one Lord are the Father and the Son (and the Holy Spirit). This is the kind of God Christians worship – radically different both from polytheism (that is, many Gods) and from strict, numerical monotheism (that God is not only one essence, but also one-personal). before all things it is necessary that he hold the Catholic Faith. without doubt he shall perish everlastingly. another of the Son, and another of the Holy Ghost. That is, we must believe in the Triune God if we are to be saved. Notice, too, the warnings against “confounding the persons” – which means collapsing the Father, Son and Holy Spirit into just three ways of looking at the same thing – and against “dividing the substance” – that is, saying that there are three Gods. The first error is called Modalism and throws up huge problems – if God appears some times as Father and other times as Son or Spirit, then he isn’t really three – but then, who was Jesus praying to when he prayed to the Father? The second error is called Tritheism – from the Greek for Three Gods. This, as we have seen, is not what the Bible teaches. There is one God, in three persons, not three Gods. But if all this is seeming complicated – and it is a divinely revealed mystery – we need to realise why it is so important that this creed can say there is no Christianity without it. There cannot be salvation unless God is Trinitarian – at least not as the New Testament sees it. Here we discover all three persons of the Trinity at work in our salvation. See how they relate to each other – the Father sends his Son to redeem us – and also sends his Spirit (who is also linked to the Son) to us. The three are all at work together and intertwined… though definitely distinct. The Father isn’t the Son and the Son isn’t the Spirit and the Spirit isn’t the Father. And yet there is one God who saves us. So, finally, the Trinity is good news. Look back at Galatians 4:6. Our salvation is a work of Father, Son and Holy Spirit. The Father has sent the Son to redeem us – to rescue us from our sins, which Paul unpacks at length in this letter. But here Paul gives us an insight into what God’s purpose for that rescue is. The Father has sent the Son – Jesus Christ – to rescue us that we might receive adoption as children. In Jesus Christ, we are adopted by his Father and brought into the life of the Trinity. Likewise, through the Spirit we are able to call the Father that intimate term of “Abba!”, which Jesus himself uses in praying to the Father. When we pray the “Our Father”, we really, really mean it. God the Father is our Father not in the sense that he is the father and creator of all humanity, but in the special stronger sense that he has adopted us as children in Jesus Christ. We are caught up together in the life of the Trinity as we are united with God and are being made into the image of this community of unity and love. We can call God “Father” and mean it! So we should not be embarrassed about the doctrine of the Trinity. It is not something we can completely comprehend, but it is a mystery which God has shown us enough of that we can know him truly as the Triune God – Father, Son and Holy Spirit – three persons in unity. This makes Christianity unique, and it makes Christianity good news because this God can save us, bring us into relationship with himself, adopt us and give us hope. Lunchbar: What would Jesus say about the recession? Lunchbar today at Nottingham was on the topic of the current economic situation. For many of us, as our speaker observed, this is not just an academic question but one in which we have a personal stake. Most students are finding it harder to afford things, many of them have parents or relatives who are in difficult circumstances, some students have had to leave university as their parents cannot afford to support them. In addition, it is harder for graduates to find jobs when they leave university. So it’s a big issue. So the recession isn’t somehow beyond God’s control – but what might God be trying to bring out of it? Without wanting to claim to have the definitive answer to that question, we can perhaps suggest three things that the recession can teach us. First, the recession opens our eyes to the situation that many people in the world live in all the time. In the West, recessions tend to come and go, and we perhaps have got used to the idea that things tend to improve over the long run, allowing for the occasional blip. But in many parts of the world this just isn’t the case, and there is massive poverty. Compare Britain with Zimbabwe – the British unemployment rate is about 7%; in Zimbabwe it is more like 94%. The average Zimbabwean earns just $0.30 a month, several thousand times less than the average Briton. So perhaps the recession can show us a little bit of what it is like to be poor – as the majority of the people in the world are. Second, the economic crisis shows us something of what sin is. We see it quite easily in those who are responsible for the economic crisis – those in banking and finance whose greed has led to the current crisis. We rightly feel aggrieved at this, and can see how wrong a lot of the exploitation that has gone on in the financial world is. But as we recognise the sinfulness of the greed and exploitation that has gone on in the financial sector, so we too should take the opportunity afforded us by the recession to recognise that the same disease afflicts us too. Isn’t the reason that we haven’t done exactly what the bankers have done more to do with the fact that we haven’t had the power and opportunity to exploit, rather than us being morally superior? If we’re honest, we can see the potential within ourselves for exploiting others for financial gain, given the chance. So the recession also shows our own sinfulness to us and helps us to realise that we need God to create a clean heart in us and cleanse us from our corruption. Finally, the recession can teach us that money is not everything, and is a fickle friend. The recession has shown that even those who are wealthy can easily lose their wealth; that money is an insecure source of security. People talk a lot of the comparitive risks of every investment, but even the relatively safe investments can become devalued; and in any case are no insurance against the inevitability of death. If money is not a good source of our ultimate security, then what is? Ultimately, the Christian gospel claims, it can only be found in Christ and in his Kingdom. So the recession could function to turn us to God by showing up the transience and insecurity of what we have been trusting in. Lunchbar: Aren’t all Christians hypocrites? Sadly it’s not unusual to hear the sentiment expressed, that the behaviour of Jesus’ followers makes it impossible to believe in him. They talk the talk, but don’t walk the walk. We all know times when Christians have publicly fallen into the kind of sin they claim to disapprove of. Our speaker made several points in response to this objection. Crucially, it is important to recognise up front that Christians historically, and all Christians from time to time, fail to live up to the standards they profess to believe in. The Bible says that looking at someone lustfully is mental adultery; that Christians shouldn’t get drunk; that they should turn the other cheek rather than return insult for insult… and even the most casual of friendships with Christians will show you that Christians often fail to live up to these standards. We don’t want to deny that. But, a lot of the discussion depends on our definition of hypocrisy. If we define hypocrisy as pretending to be perfect when we’re not – well, no Christian should claim to be perfect this side of heaven. Perhaps we can define it as failing to live up to the standards we espouse. On this definition though, everyone who has ever lived and who ever will live is a hypocrite – we all fail to live up to our own standards of right and wrong – let alone God’s standards. In this sense, Christians are as much hypocrites as anyone else. No Christian should deny that he or she is a sinner and in need of God’s forgiveness. But Christianity offers a solution to the problem posed by our hypocrisy: Jesus Christ. Those who admit their failure and accept his forgiveness and rule over their lives are counted as being right with God, and will be made perfect when he returns to bring all things into submission to God. Not only this, but Jesus Christ himself was no hypocrite. He challenged a hostile crowd to convict him of sin and they were unable to (John 8:46). If someone wants to know what Christianity is about, far better for them to look at Jesus Christ than at his followers’ imperfect and faltering attempts to imitate him. While Christians are called to become like Christ, they can only offer a poor and caricatured image this side of the resurrection. However, we can show Christ to others; commend him and show his hypocrisy-free life in the four gospels. While Christians fail to live up to the standards of morality taught by the Bible, Jesus kept them perfectly on our behalf. It is not enough to reject Christianity on the grounds of the failure of Jesus’ followers to live up to his standards – we must look at Jesus, and at the solution he offers for our hypocrisy: forgiveness, restoration to a right standing before God, guidance and help to become more like him in this life, and the promise of being raised from the dead perfected when Christ returns. Lunchbar: Has Science Disproved God? Lunchbar today was addressing the question “Has Science Disproved God?”. There were a lot of people at the event, which is great, and some really good questions asked after the talk. In his talk, the speaker began with the observation that for science to disprove God, there would have to be something within science that was incompatible with belief in God. Some atheists might indeed want to argue for this – for example, this is exactly what Professor Richard Dawkins (Zoology, Oxford) argues in his book The God Delusion. But, in a 1996 survey of several hundred American scientists, researchers discovered that almost 40% believed in the kind of God to whom one could pray and expect to receive an answer, about 15% were agnostic, and 45% expressed disbelief in such a God. Clearly at least four in ten scientists find nothing incompatible between science and belief in God, which significantly undermines Dawkins’ claim. In addition, Professor Alister McGrath (Theology, Oxford) reportedly asked many of his atheist scientific colleagues why they were atheists, and discovered that their reasons weren’t always or even most frequently related to science. So, again, there does not seem to be anything inherent about science that is incompatible with belief in God. Questions about Origins – many Christians interpret the Bible’s statements about origins, and in particular, the opening chapters of Genesis, in a way that is incompatible with science. But not all Christians would interpret the Bible this way – and in fact there is nothing “less Christian” about some of the ways of interpreting Genesis which are compatible with the picture of the origins of the world offered us by contemporary science. The Bible’s explanation of origins is not in conflict, but in fact viewed from a different angle – the theological angle rather than the scientific one. Miracles – many people claim that Science makes it impossible to believe in the kind of miracles found in the Bible, and indeed, integral to orthodox Christian belief. But, if we define a miracle, as most people do, as an act that is inexplicable on natural grounds (i.e. a supernatural act), then to reject the possibility of miracles is already to prejudge the matter of God’s existence. If there is a God, then there is no problem with the idea that he might perform supernatural acts. There is only a problem with belief in miracles if we have already decided that there is no God – so the matter cannot be used to adjudicate the existence of God without our argument becoming being fatally circular. So neither of these two difficulties presented to Christian belief by science are sufficient to reject belief in God. Naturalistic understandings of origins require just as much faith to believe in as theistic understandings of origins. “God created the universe” and “The universe happened by chance” are both statements of faith, and both unscientific in the sense that neither can be proved by scientific method, but actually belong to the realm of metaphysics. There are some things in life that science on its own just can’t make sense of. An example of this is altruism – a lot has been written by biologists, psychologists and philosophers to explain the origins of altruism in naturalistic terms, but no satisfying explanation has been offered. Science is just not a good tool to answer many of the questions we really care about. What can science say about things like love, beauty, meaning… Can science answer the questions, Who am I? What am I here for? Why is there something rather than nothing? Why is there so much suffering? and, Why does it bother me that there is so much suffering? Finally, science cannot help us as we confront the inevitable reality of death. Science, particularly medical and pharamaceutical science, can help us postpone the inevitable, but it cannot stop it happening. Science just can’t tell us what (if anything) happens to us after we die – and yet this is something of huge significance to all of us, no matter how much our culture dislikes asking these kinds of questions. This is one reason to take seriously the claims Christians make about Jesus Christ – has he really defeated death, and is there something beyond the grave? So it seems that science just cannot answer every question – although it is a very good tool for discovering a lot of things, on its own science cannot offer a truly satisying or complete answer to everything. This is not to denigrate science, but to make clear that the optimism of the Enlightenment to think that science could eventually tell us everything we wanted to know is severely misplaced. So science is not incompatible with belief in God, nor has it made belief in God superfluous. Lunchbar: Why is there evil in the world? but you do not listen? but you do not save? It is not a question which is wrong to ask – but we must then be prepared to hear the answer God gives to us. Sometimes the question can be phrased or asked in such a way as to prejudge the answer; more as a means of asserting that God can’t possibly exist, given the existence of evil, than as a means of finding out why God does what He does. The first point to be made to this kind of way of asking the question is that the existence of evil doesn’t disprove the existence of God. Rather than spending a lot of time on this point, our speaker asked us to look at things from the opposite perspective: if there is no God, then we must take a naturalistic view of the world, within which moral outrage doesn’t make sense. Without saying that atheists are incapable of morality, it is fair to say that in a God-less universe it is hard to find a firm basis for the kind of moral standards we implicitly believe exist when we express outrage at injustice or violence. We sense that there is something absolutely wrong with some of the things that happen that is more fundamental than the fact that we dislike or disapprove of them. “Murder is wrong” is a statement that cannot be reduced down to “I dislike murder”. While not watertight as an argument, perhaps this sense that morality is more than our preferences is a clue or a nudge in the direction of God existing. So the existence of evil is not necessarily an argument about whether God exists or not, but about whether he is just. The Christian can know that God will be vindicated and seen to be just because all evil will be judged and dealt with. Everyone who does evil will have their day in the divine courtroom. Lunchbar: Christianity – just a crutch for the weak? It is often alleged that religion in general, and Christianity in particular, are good insofar as they provide comfort and meaning to “weak” people, but that “normal” or “strong” people can get by just fine without any help from religion. It’s a similar claim to that made by Marx; that religion was the “opiate of the masses” used to stop them complaining about conditions in this life, because they would be rewarded in heaven. It can take a subtler and less aggressive tone: “That’s great if it helps you, but I don’t think I need it”, but it is perhaps a confused and arrogant attitude, as our speaker suggested. Viewing Christianity as a crutch for the weak is potentially confusing because we don’t necessarily see accepting help or a solution from someone else as weakness in other areas of life. We also don’t see the admission of weakness as a weakness itself. For example, we don’t see somebody as weak if they need help to understand Quantum Physics, or fix their television set. We don’t see it as weak to see a doctor when we are sick. In short, we don’t see it as weakness to accept an external solution to a genuine need. Christianity claims that Jesus Christ offers a solution to genuine needs. Two important ones are our need for love, purpose and meaning in life, and our need for a solution to the problem of death. Humanity as a whole recognises a need or desire for answers to the big questions of life; and most people are even more aware of the need for meaning on the personal scale. What is the point of life? What should I do with mine? Is it all worth it? Christianity claims to provide real, true and fulfilling answers to these kinds of questions. The second need is that with which we are presented by the problem of death. Everybody dies. Most of us have a sneaking suspicion that this is not right; that there is something wrong about death. There is. The Bible speaks about death as an enemy, as something evil, and as something deeply ambiguous even where it is not to be feared. Horror is a legitimate emotion when considering the grave. And yet, Christianity claims that Jesus Christ has overcome death; that it will be destroyed; and that with Christ we can be raised immortal. Christians do not hope merely for an ethereal existence after death, floating around playing harps all day, but a real, embodied, corporeal existence. As was helpfully pointed out during the questions, this is one of the things the resurrection demonstrates: it does not simply vindicate Jesus’ claims to be who he says he is (although it does), nor simply that he has solved the problem of death (although it does), but also what kind of solution Jesus has provided. As Jesus was raised, bodily, immortal and glorified; so too the Christian will be. Jesus offers a genuine, complete, and wonderful solution to the problem of death – something we all need. The existence of needs does not, as was pointed out, necessarily mean that a solution to those needs actually exists. But it does mean that serious offers of solutions to those needs are worth investigating – and the Christian claims stand up to this kind of investigation. They also show that Christians are not being “weak” in accepting the solutions offered by Christ to these needs. They genuinely accept genuine solutions to genuine needs. It is, perhaps,merely a different kind of weakness to refuse an external solution to these kind of needs and to seek only the kind of solutions which we can provide for ourselves. 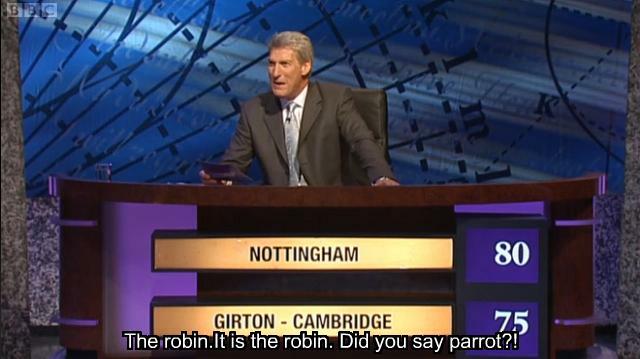 This evening I was on an episode of University Challenge, representing the University of Nottingham. I’m a big fan of quizzes, and so getting a chance to appear on the great-granddaddy of all TV quizzes was not to be passed up! It was a close match against Girton College, Cambridge, and after a lot of to-ing and fro-ing, we lost 145-180. I like to think that we gave them a good enough match to not besmirch our fair university’s reputation, and loved Jeremy Paxman’s little comment at the end: “Nottingham, I would have thought you’d have done a bit better than that”. Never mind. It was a great experience, and a lot of fun. In the UK, the episode is available to watch until next Monday evening on the BBC iPlayer. Thinking about studying Theology at Uni? Today and tomorrow are Open Days at the University of Nottingham – as I found out when I went in to the library this morning and found little gazebos up everywhere and applicants and student helpers. I was briefly roped in by a friend who was being a student helper to “demonstrate” the self-service library loans, which are hardly unique to Nottingham! If I were trying to sell convince people to come to Nottingham, I’d probably take them round through the campus, past some of the nicer halls of residence, and by the lake and Trent Building, especially in this weather. Across the Downs, too, if none of them had hayfever! But then I figure that a lot of people coming on the open day might never have seen any university before – so as well as the unique features of Nottingham, they want to see what it would be like to study at a university. Perhaps the biggest difference in courses and experiences of studying theology are to do with whether the course is primarily a Theology course or a Religious Studies course. The two are not the same thing. To oversimplify, Theology at a university department will usually (unless explicitly stated) focus on Christian theology; Religious Studies on a variety of different religions. 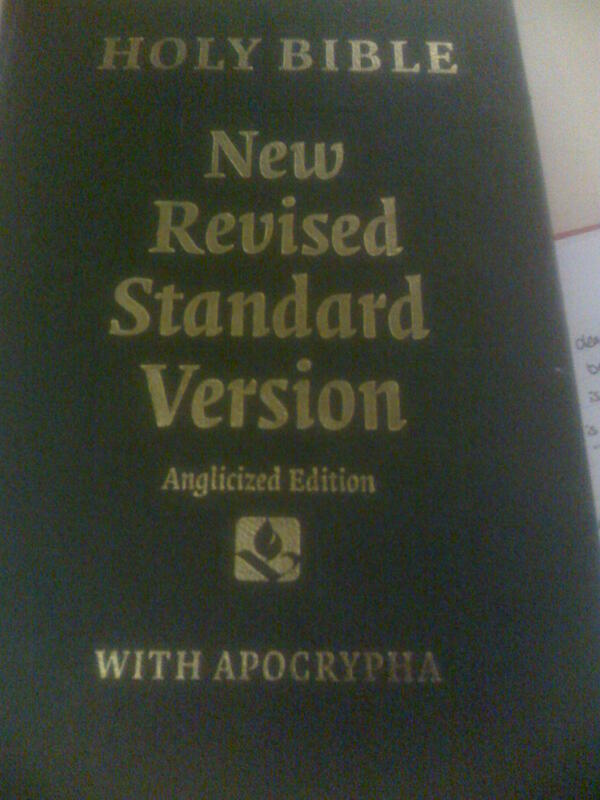 Theology, while not necessarily done from an orthodox position, invites a position to be taken on issues, and requires engagement with whether things are true or not; Religious Studies is done from a very detached perspective, allows agnosticism as to the truth or falsity of the things studied, and (although it can be analytical) feels a lot more descriptive – almost sociological rather than theological. Finally, theology engages more with texts and doctrines; Religious Studies more with the phenomena of religion(s) and practises. As may have come across in my lopsided analysis… I’m much more inclined to the Theology side of things. But I think it is fair to point out that Theology and Religious Studies are not the same, and that university courses with the same title (V600 Theology or whatever it is) may be entirely different depending on whether the focus is on Theology or Religious Studies. Ask about it when you visit the department! As you can see, a modular system allows some choice. However, in my first year, there were 10 out of 120 credits which were compulsory Religious Studies modules, and 60 out of 120 credits which were compulsory Theology modules – weighting Nottingham’s course more towards the Theology side of things. At universities with modular courses, it is worth asking about this kind of detail! For what it’s worth, I think the modular system has a lot going for it, but, by creating a “market” for modules as unpopular options get cancelled, relies on students choosing modules on good criteria rather than on whether the lecturer has a reputation for being a generous marker! I’ll level with you – I didn’t do A-Level Religious Studies, Divinity or Theology… I did Philosophy (cue boos and hisses from the Theologians) at AS-Level. From what I’ve gathered from the two-thirds of my year who did do A-Level RS or RE, it is different both in content and in depth (University = broader, deeper). I think it also differs in approach and the value placed on your own views. Apparently at A-Level the way to write an essay is to gather as many different peoples’ views as you can, list them all, and (if you want an A) play them off against each other (“Schleiermacher thought that … but Barth disagreed with him, saying that … which has some strengths, but invites the objection that … as Brunner noted, by his claim that … In conclusion, different scholars have said different things about this topic.”) At degree level, it is OK to present what you think as the main argument of your essay. Of course you will want to interact with what other people have said, but your lecturer will already know about this… what (s)he wants to read is what conclusion you have come to based on your reading and thinking about the essay question. Wait, I’m allowed to write what I believe… in an essay? Does that mean I’ll get marked down if I disagree with the lecturer? Hopefully not. I’ve got firsts on essays where I disagreed with the lecturer a lot, about methodology as well as the topic being discussed. I have heard other students express that they feel they have been marked down for disagreeing with lecturers… though I’m not sure this is what has actually happened. I think, however, it is fair to say that disagreement with the lecturer (or the lecturer’s favourite theologian!) requires some extra work on your part to justify what you think. It may also need you to undertake reading beyond the bibliography your lecturer gave to you. But that’s OK, because you have reasons for thinking what you think, and it is a good exercise for you to try and phrase those reasons in the most robust and convincing way you can. Will I get to learn Biblical languages? Some universities (Cambridge, St. Andrews, Durham(?)) 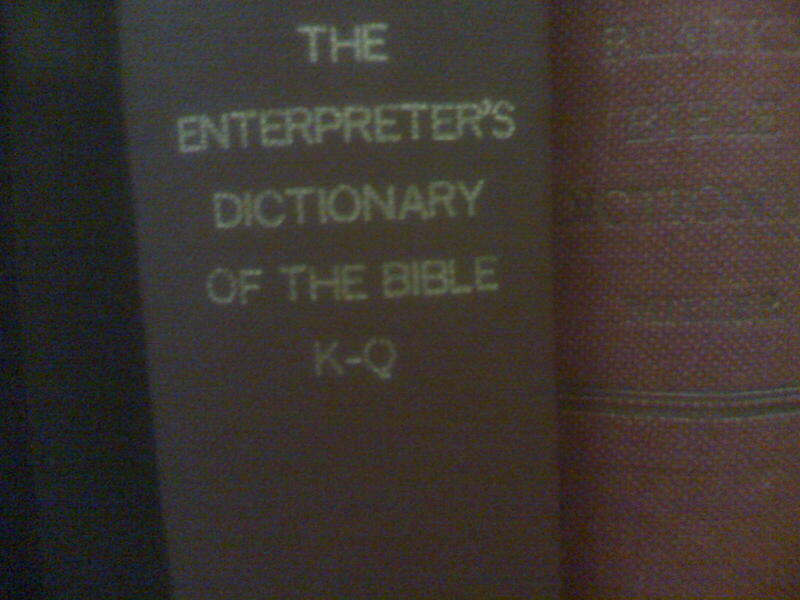 will make you study at least one out of Greek, Hebrew, Aramaic and Latin. Other universities will teach one or more Biblical Language, but make it optional – most universities offer Greek and Hebrew; not all of them offer Aramaic or Latin, which are less useful at undergraduate level. If you go to a university that offers a choice, my strong advice is to learn at least Greek if not both Hebrew and Greek. It will provide you with one of the best resources you can have in biblical studies… access to the Bible in its original languages. If the university you’re looking at doesn’t teach Greek or Hebrew, or only teaches it at an elementary level with no opportunity to go further… go somewhere else. I’ll be as blunt as that. Probably, but less so than Philosophers. Theology graduates can do a surprising range of things when they leave university – some of course do the stereotype thing and become vicars or RE teachers, but this isn’t the only option. There’s postgraduate study, for a start. Further away from “Theology-specific” careers, there are the usual generic humanities-type jobs in business, or in the civil service. Theology graduates are particularly employable by the Home Office and the Police, so I’m told, because of their ability to read texts carefully, critically and sympathetically, and to understand religious motivations and concerns. Or something. Think DS Hathaway from Lewis – obviously identifiable as a theologian from the trendy shirt and skinny tie combo. Theology is as employable as the most employable humanities degrees – I’m not going to lie and say it’s better than Medicine and Law Joint Honours, but it is both versatile and no less employable than, say, History.